Though physically imposing, Peter Aurness always seemed more approachable than his more famous brother, TV's Gunsmoke, James Arness. Not even his stage name, Graves, could dispel the man's affability. His mellifluous voice—often utilized for narration in documentaries like the series Biography—probably helped very much in that regard. All indications were that he was as classy a gentleman in life as he was on the screen. Not many actors stay married to the same woman for close to 60 years as Graves did. 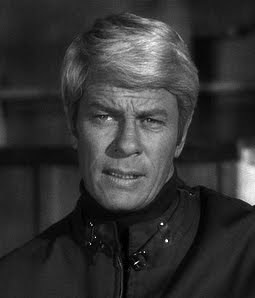 He was best known, of course, for the role of Jim Phelps, the leader of the Impossible Missions Force on Mission: Impossible. It's almost incredible that he didn't join the series until a near abortive first season with Steven Hill (Law & Order) as the lead. Six years and 143 episodes later, he became as synonymous with the show as his future Mission costar, Leonard Nimoy, did with Star Trek. The introduction to the taped mission briefings his character would receive clandestinely became one of television's most famous catchphrases, "Good morning, Mr. Phelps." On film, he made at least three notable appearances. He played the handsome and helpful Price, a prisoner of war who secretly spies for his Nazi brethren in Billy Wilder's Stalag 17 (1953). In Charles Laughton's The Night of the Hunter (1955), he played the pivotal role of Ben Harper, a convict executed for murdering during the course of a robbery. His cellmate, played by a terrifying Robert Mitchum, suspects he can find the stolen money if he insinuates himself into the dead man's family. Both roles were an example of casting against the heroic type Graves would be most immediately qualified to play. Tower: Tower's radio clearance, over! He died today at the age of 83. Recommended Films - Stalag 17, The Night of the Hunter, Airplane! I never knew him and james were brothers! They do bear a certain resemblance to each other once you know that fact.